A friend recently said that we should all be taught body language in school because most language is non-verbal. My response was that we should be taught conversations period. Those few people lucky enough to have had great mentors, great bosses and great parents may have picked up communication skills by great people, but most of us don’t. Most of us wing it through life communicating based on our experiences in the playground, social and family settings and of course the workplace. Think now of those people who may not be the most technically talented in their role who get promoted all the way to the top. Those people are usually proficient in non-technical skills, skills we overlook all the time. The art of communication is indeed an art and like any art when it is practised we can master it. We need to think about all soft skills like any other skills, we must practice them to become proficient. This week we are going to look at communication killers and in a few weeks time, we will look at some communication liberators. Business is built on great business models, strategic planning and great operation. However, without the people to make businesses tick, the business will grind to a halt. In a world of increasing artificial intelligence, the soft skills stock are rising, why? Soft skills are the oil in the business engine, they smooth things along, they get things done. 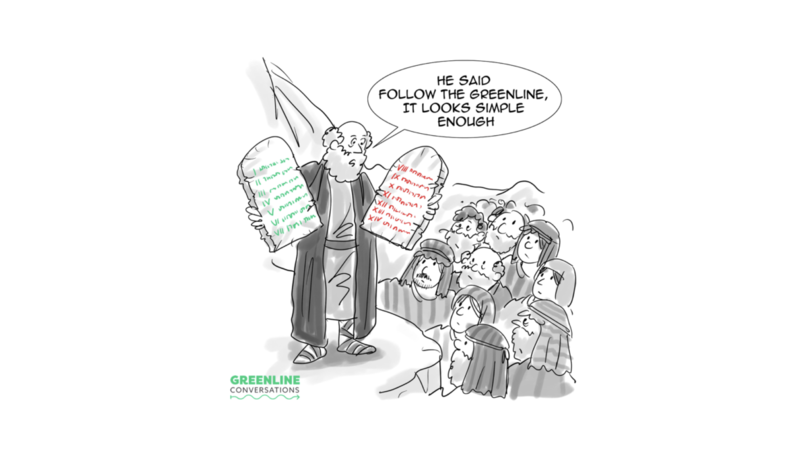 In GreenLine, we call the human side of business humanics and the technical side mechanics. When the humanics run into problems, the business soon knows about it, it either stops moving forward, stands still or starts moving in reverse. GB Shaw’s remark that “the single biggest problem with communication is the illusion that it has taken place” fits right in here. We all bring our assumptions into every interaction, but also out of every interaction. How often have you discovered two weeks after a meeting that you emerged with a completely different understanding of what you thought was agreed? Not listening can simply be a passive or careless activity where someone simply isn’t paying attention – like at school during geometry when the teacher caught you staring out the window. However, the more sinister version occurs when someone gives all the signs they are actually listening but instead of listening to understand, they are listening to respond. Meaning: they are listening to find flaws, pick holes or formulate a counter-argument to dismantle. In short, listening to disagree. This is the preserve of the autocrat. Creating unilateral decisions with their own judgement, it is the non-consultative nature of the act that creates the issue. Others feel forced upon: ‘When I want your opinion, I’ll give it to you.’ Persisted with over time, the impact becomes that others cease looking for their own solutions, realising they will simply be over-ridden in any case. Having solutions imposed feels particularly abrasive for those with a high need for autonomy. This is the opposite end of the continuum to #3 Imposing your Solution and is often triggered by an over-directive boss or partner. Even on its own, however, avoiding saying what needs to be said, when it needs to be said (and this isn’t at the water-cooler by the way) is a slow cancer that contributes to a steady accumulation of Residue and a steady corrosion of trust. Worse still, some will even nod in agreement whilst secretly withholding, leaving you to wonder later why things haven’t moved forward. Coupled with defensiveness, this becomes almost impossible to dissolve. Wherever there is a difference of opinion, what is sure is that there is conviction and validity on both sides. Yet people rarely start by trying first to understand the others’ side. This fear is based on the notion that if I seek to understand then I must also agree. Instead, the typical habit – particularly where there is tension or history – is to try to win over the other through persuasion, lest they persuade you first. This is often backed up by facts, data and examples. However, no matter how accurate, true or ‘right’ your data, it will have absolutely no currency unless the other person feels their side has first been acknowledged. Like trying to teach a pig to sing, you will simply annoy the pig and frustrate yourself. Meetings are a constant and radiant example of this classic hijacker. Last week with an internal client, twenty minutes into the meeting someone says ‘Hang on, I thought we were here to discuss X.’ To which someone else countered ‘No. We should be focused on Y.’ It turned out no two people in the room had the same clarity on what they should even be discussing. Little wonder no one goes to work every morning dying for the next meeting to start. The prosecutor’s inquiry ‘So how often do you do it*?’ [whatever the crime in question happens to be] is the obvious clichéd example, designed to deliberately provoke a reaction, laced as it is also with a built-in assumption – see Red Card#1. Whilst the attorney’s approach is conscious and tactical, many people innocently ask leading questions in complex moments in the belief they are actually seeking information. However, a simple ‘And where did you think that would lead?’ is far more likely to translate into a threatening statement on the other side. In order for a question to be useful, it needs to be heard as a genuine question.